All about Cradle of Egypt Collector's Edition. Download the trial version for free or purchase a key to unlock the game! 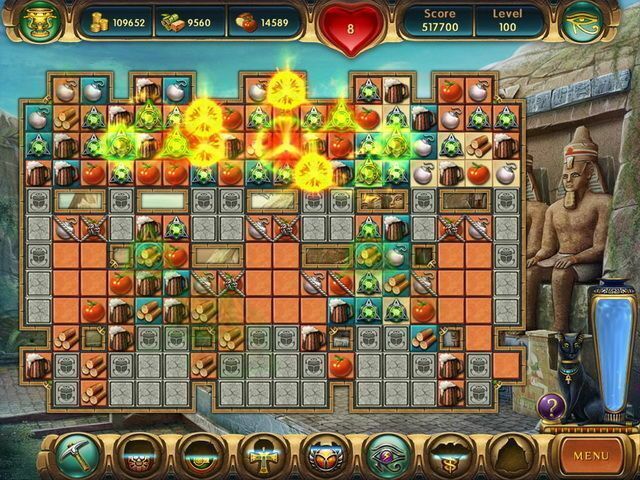 The land of the pharaohs provides the stunning backdrop for the fourth installment in the popular Cradle series of match-three games. 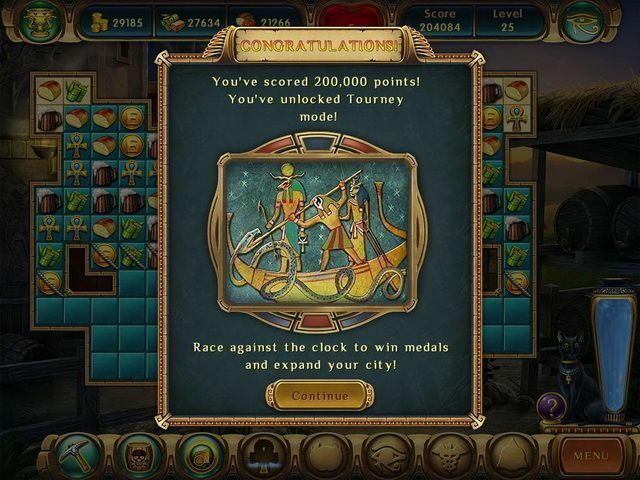 Journey through five ancient epochs while completing 100 levels and build the Egypt of your imagination! 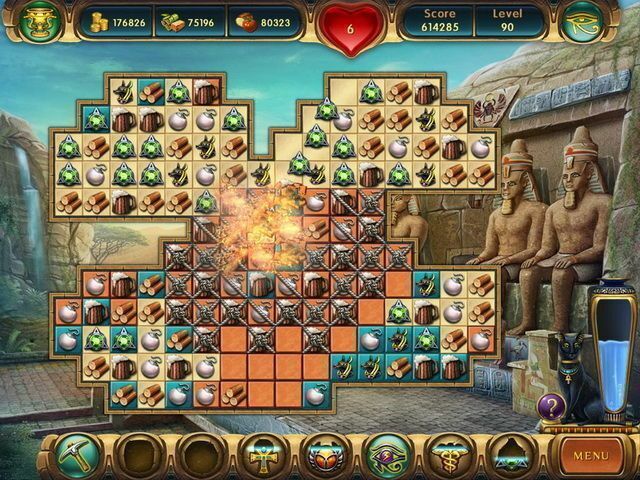 The land of the pharaohs provides the stunning backdrop for the fourth installment in the popular Cradle series of match-three games. 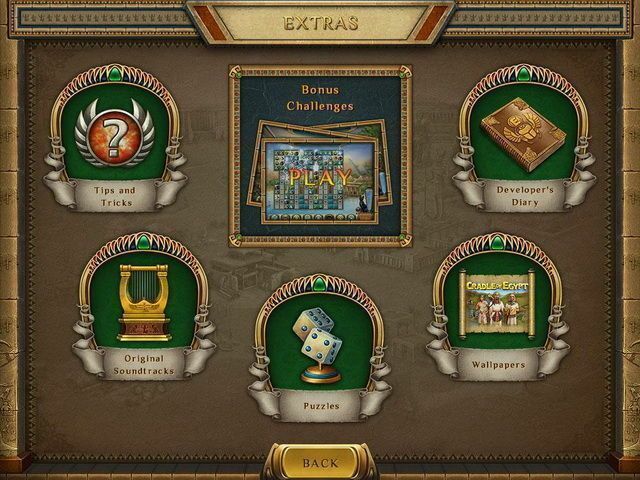 Journey through five ancient epochs while completing 100 levels and build the Egypt of your imagination between matching sessions! Starting with a small village, develop your settlement into the cradle of all civilizations. 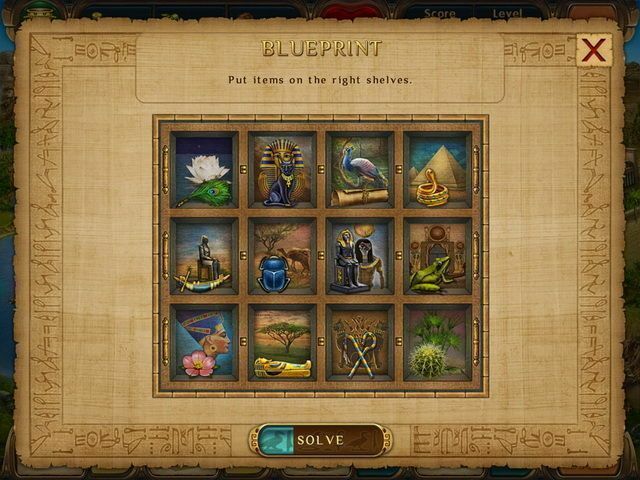 Make matches of three or more similar tiles to collect resources and construct magnificent buildings such as the Pyramids of Giza, the Sphinx and the Temple of Karnak. 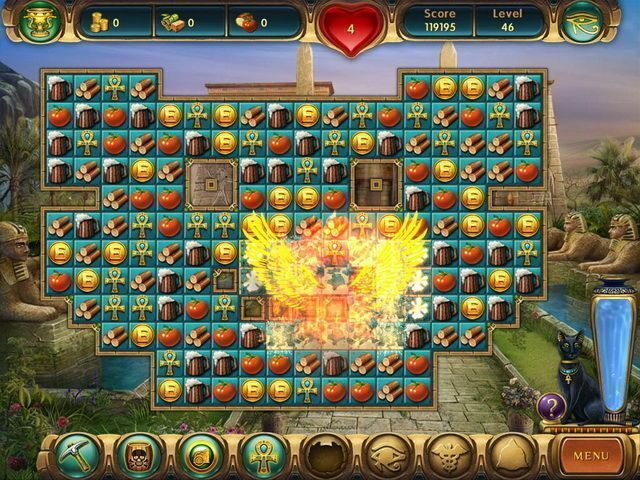 Cradle of Egypt features beautiful hand-drawn graphics, challenging mini-games, over 25 trophies and three modes of play. This is a Collector's Edition release which includes extras not available in the standard version of the game. ok . is first one play this game.